The fundraising dinner for the 8th grade DC Trip has been canceled due to the lack of volunteers and ticket sales. Sorry for the inconvenience. Send your child, friend, parent or teacher a Valentine sucker. They are currently on sale in the front office for $1.00, you may add a sticker so your student can see who sent it. The suckers will be delivered to your student’s classroom on February 14, 2018.
online orders will be charged a 5% service fee. We hope your New Year is off to a great start. Thank you for choosing Legacy Academy for your student’s education Parent-Teacher conferences and registration are upon us. You should have received an e-mail to sign-up for conferences, please call us if you didn’t. We are trying to coordinate several events during conferences to make it efficient for everyone. Our staff will be available during parent-teacher conferences to help any families who may need assistance with the registration process. Registration links have been sent out and are due no later than February 16th. If you did not receive one, please email the office at info@legacyk8.org. We are looking for people to volunteer their time and equipment for spring and summer weed whacking and mowing. We are also looking for some plumbers to help with ongoing plumbing needs. Please e-mail anne.stanley@legacyk8.org if you are able to help. Registration payments and paperwork can be turned in, please look for additional information in the near future. Parent Teacher Conferences by appointment only 4:00pm to 8:00pm. Teachers break from 6:00pm to 7:00pm for dinner. Parent Teacher Conferences by appointment only 8:00am to 12:00pm. Father/Daughter Dance 6:00 pm in the gymnasium. More information will be available soon. Congratulations to our Legacy Academy students who participated in the district spelling bee last week. 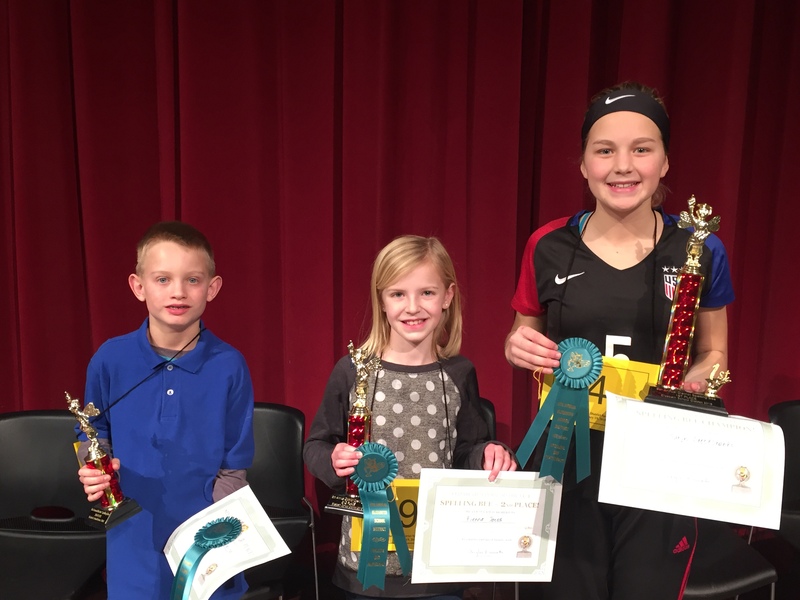 Seventh-grader, Taryn Crookshanks won and will represent the district at the state level and Schylar Gravina, 5th grade, took 3rd. Whoo hoo, Legacy!! Please fill out your Letter of Commitment that was sent out on December 19th. This form holds your child’s spot for the upcoming school year. After this form is completed, a registration form will be emailed mid-January. When you fill out both forms, your registration is complete. We do ask that you use a computer as some of the fields require a mouse or trackpad. If you don’t use either then the form is inaccurate. Thanks for being a part of Legacy Academy. Please email info@legacyk8.org if you need the email resent. Don’t Forget: Please fill out your Letter of Commitment that was sent out on December 19th. This form holds your child’s spot for the upcoming school year. After this form is completed, a registration form will be emailed mid-January. When you fill out both forms, your registration is complete. We do ask that you use a computer as some of the fields require a mouse or trackpad. If you don’t use either then the form is inaccurate. Thanks for being a part of Legacy Academy.